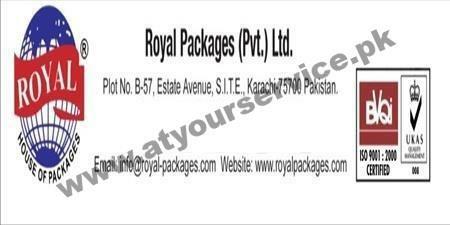 Royal Packages is located at Estate Avenue, SITE, Karachi. It specializes in many different plastics products and complimentary packaging systems. It delivers innovative packaging solutions to customers all over Pakistan.